Chicken Soup for the Soul is a recommended dog food with a good estimated nutrient content; protein and carbs are average and fats are slightly below average. They also sell a grain-free formula. 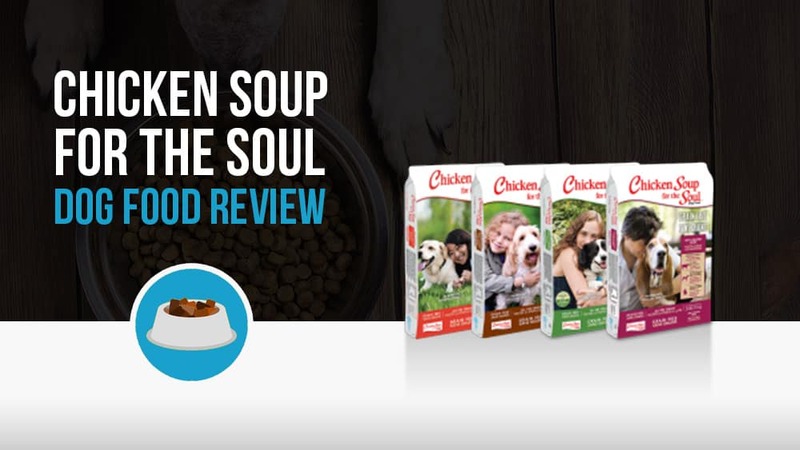 Chicken Soup for the Soul dog food is formulated for dogs primarily over 1 year of age, and prides itself on being a high quality, wholesome product that uses only natural ingredients to ensure the healthiest possible meals for your pup. Additionally, the uniquely shaped kibble shaped kibble is designed with a dog’s teeth in mind, and helps to scrape off plaque and add to the overall dental health of every pet who eats it. 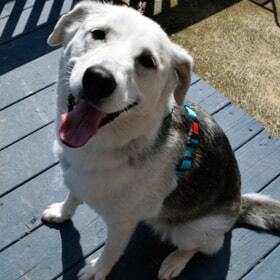 For this review, we’re analyzing Chicken Soup for the Soul Adult dry dog food formula. High quality ingredients and wholesome meals are a key to the Chicken Soup philosophy, so the food ranks well. All of the food is also made right here at plants in the USA, ensuring that it adheres to all of this country’s safety rules to make sure none of that unseemly tampering takes place, as has been known to happen in products manufactured overseas. The company website also promises that real meat is always the first ingredient, followed by fruits, vegetables and herbs, and there is never any added corn, wheat, soy, artificial coloring, flavoring or preservatives. Analyzing the first 10 ingredients in a dog food is a great way to understand the overall nutrient content of the dog food because AAFCO requires all dog food ingredients to be listed in order of predominance by their weight. Here’s a closer look at what’s inside Chicken Soup for the Soul Adult. This dog food was found to have a healthy nutrient breakdown. Protein and carbs are about average among dry dog foods, however fats are a bit lower than average. Chicken Soup for the Soul uses a lot of plant-based ingredients for added protein, but also utilizes meat meals. Chicken Soup has two primary lines under its name, Grain Free and Life Stages. 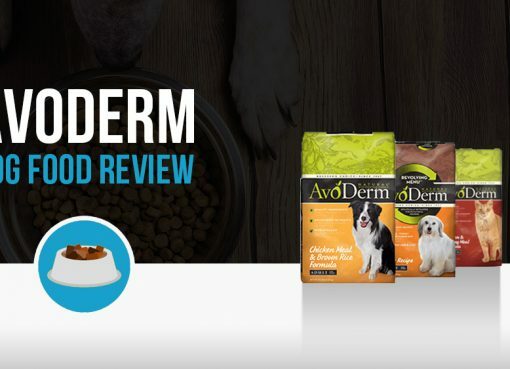 Each of these lines subsequently have several different flavors and formulas of their own, allowing dog owners to add some variety to the menu without making any drastic changes to their pet’s diet. As mentioned earlier, the company also makes use of a uniquely shaped kibble in every bag, which is meant to help clean teeth and fight plaque, adding a bit of an extra bonus for those who choose to use the company. In addition to the dry food, Chicken Soup also has wet foods that correspond to each line, as well as treats to help keep your pet happy and well fed. 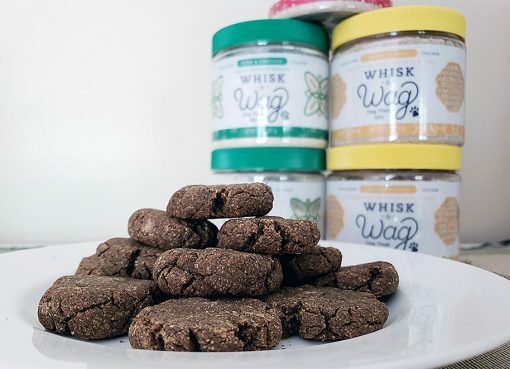 As the name suggests, the Grain Free line has no grains at all, replacing them with things like chicory root, pea flour, and, much to many dog’s delight, more meat! This food also contains plenty of healthy omega-6 and 3 fatty acids, as well as a number of added vitamin supplements to make sure that there is a well-rounded meal in every bowl. 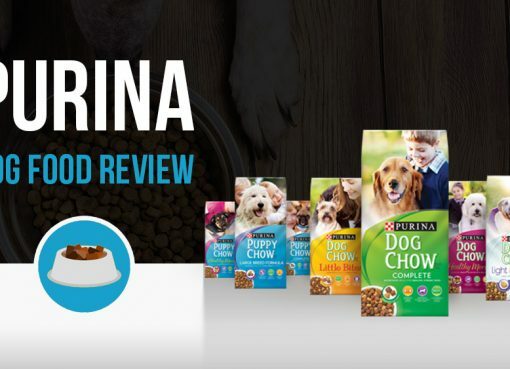 Unfortunately, there is no puppy formula for this line, and it is really only recommended for dogs one year and over. Life Stages is the more standard of the two Chicken Soup lines, and is the one that most customers go to when they are looking for the products made by this brand. Making use of low-allergy ingredients like oatmeal and rice instead of more common ingredients like corn, wheat, or soy, and ensuring that no by-products ever find their way into a bag, this is a high-quality dog food that is well recommended by experts. Unlike the Grain-free blend, Life Stages also has a puppy formula, as well as one dedicated to large breeds, meaning that not only is it a strong, healthy choice, but varieties exist for pups of all ages and sizes as well. The company also believes in giving back in a big way, and the company website is loaded with stories of the animals helped and the charities supported by Chicken Soup profits. Chicken Soup, despite having been around for over a decade, is still not as widespread as many of its competitors. That said, however, the food is not impossible to find, and many specialty stores will carry it on their shelves. In order to be sure of where to find their products, the company has included a store locator on their website, so if you are thinking of switching over, give it a look and see if it is carried by any stores near you. If you can’t find it in your area, or if you just prefer to shop online, Chicken Soup is easily purchased from websites like Chewy and Amazon, but unfortunately is not available directly from the company website at this time.